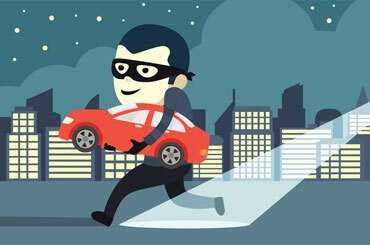 Autumn is a busy time for car criminals as people spend more time indoors and thieves benefit from the darker evenings. Last year, car thefts rose by 57% with 89,000 vehicles stolen, compared to 56,000 in 2016 (source: The Office of National Statistics). The rise in keyless theft, where criminals use pairs of radio transmitters to capture the signal from the vehicle’s fob key, is one of the reasons behind this. Over 40% of thieves entered vehicles through an unlocked door, and between two-thirds and three-quarters of thefts occurred at home. 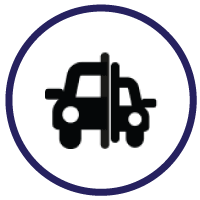 Double check vehicle is locked before leaving it unattended – If a car has keyless entry, it will always make a visual and audible prompt to show it is locked, i.e., a beep and a flash of the hazards, and often the wing mirrors will fold in. Double-check these prompts have taken place. Steering wheel lock – A trusty old steering wheel lock, probably last used on your Ford Fiesta circa 1996, is worth digging out as it is once again a good deterrent against potential thieves, particularly in the battle against keyless theft. New dashcams will wake up and record anyone who approaches the vehicle - New technology dashcams monitor a vehicle when it is parked and ‘wake up’ if ‘events’ are detected, including activity near the car, and will send a live stream to your phone. 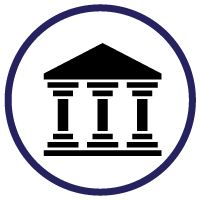 The Good Samaritan – A group of scammers stage a breakdown or accident and flag assistance from passing vehicles, until a Samaritan stops and gets out of their vehicle. The thief then jumps into the unattended vehicle and drives away. TIP – If you do happen to stop to help another motorist or pedestrian, make sure you shut off your engine and take the keys out of the car. The Bump and Grab – Here, the carjacker, driving in a vehicle behind yours, will make light ‘accidental’ contact with your car to make you pull over and inspect the damage. Whilst distracted inspecting your vehicle the carjacker then makes off with your vehicle and leaves theirs by the side of the road. TIP – If hit from the rear by someone driving a rundown vehicle be extra vigilant. Most carjackers involved in this sort of activity will use a car worth next to nothing as they abandon the vehicle at the scene. Protect your keys - It may be easier for thieves to target your keys than your car. Be wary of leaving your keys on tables in bars or restaurants, or visible in unattended clothing and bags. When at home, do not keep them near to your front door, at risk of being “fished” through letter boxes. Park in busy, well-lit areas - Parking in a well-lit built up area will put off thieves looking to operate away from prying eyes. If this is not possible or practical, try and park in an area with CCTV cameras or a pedestrian thoroughfare as professional carjackers are unlikely to operate in these areas. Never leave your car engine on and unattended – On cold winter mornings waiting while the interior of a car warms and the windows are defrosted can be time consuming, particularly with older cars, but do not shelter in the warmth of the house giving an open invitation to a thief. Keep valuables out of sight – To stop the opportunistic car thief, never leave your phone or sat nav on display in an unattended car and always cover or hide bags that might contain purses, tablets etc. as they could prove too tempting a prize. Use a tracking device to increase the chance of recovery – A tracker device tracks the location of your vehicle using global positioning system (GPS) technology and it can also reduce annual insurance premiums. Ben Wooltorton, Director, InsuretheGap.com, said: It’s incredibly easy to leave the car open, forget to hide valuables away or leave your car keys on a table in a pub, and nine times out of ten we get away with these slip-ups, but it’s good to be reminded of these common-sense steps to protect our car from would-be thieves. He continues: If your car is stolen, the insurance company will only pay what the car is worth at the time. 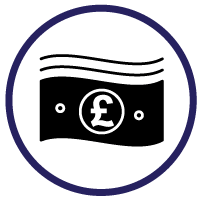 As cars lose between 15 – 35% of value in the first year, and 50 – 60% in the first three years, there is often a large ‘GAP’ between what was paid for the car compared to what is perhaps still owed on finance, and what the car is now worth. InsuretheGap.com* offer polices that protect car buyers from this ‘GAP’, at a fraction of the cost of the policies sold by car dealerships. 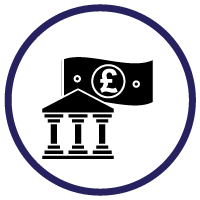 *A GAP insurance policy from a specialist provider, like InsuretheGap, tends to be significantly cheaper than those offered by car dealerships, with policies starting from just £54.55 for vehicles worth up to £150,000. It covers ‘gaps’ up to £50,000.